Computer Tips & Tricks - Computer Problem Solution - Funny Tricks - Sagar Choudhary's Blog: No Need to worry if your Mobile Phone dropped in water? 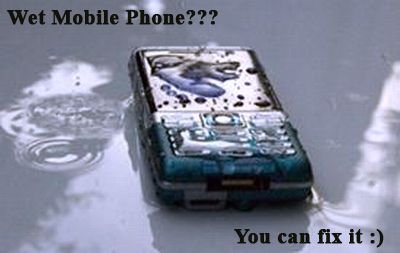 If your your mobile phone dropped in water or get wet in a heavy rain mistakenly. 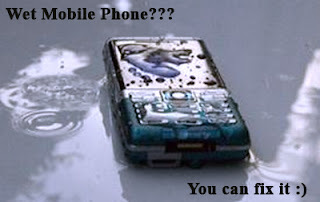 It is possible to save your wet mobile phone by quickly repairing it. 1. As soon as possible remove all the detachable parts like back cover, battery, SIM card, memory card etc. 2. Take a piece of cloth or a tissue paper to wipe the excess water you are able to see within the mobile phone. 3. Make sure that you dry it completely. If you don' t do this, the water inside the mobile phone will begin to evaporate and gather in places which will be difficult to reach. 4. Take a hairdryer and start drying the mobile phone while giving more consideration to the place where the battery is located. 5..Make sure that you are not holding the hairdryer very near to the mobile phone. Keeping it very close to the mobile phone may harm the electrical mechanism of the mobile phone. Launch cydia and include the following repository: cydia.furiousmod.com.